Is Your Business Ready for the Next Big Storm? (Voice over IP) phone systems permit your employees to work remotely by transferring all inbound calls from their office extension to their cell phones. Ensure your employees' contact information is up-to-date and designate pre-arranged meeting points in the event of telephone or cell phone outages. Record a special voice mail message containing key employee contact information and instructions for employees and customers to reach you. Prepare a list of key vendor contacts such as your electric company and IT provider. 3. Data Back Up and Recovery Plan. There is simply no way around it in the modern economy - your data is your business. One of the most critical pieces to your disaster recovery plan is your data backup and recovery. To begin, conduct an inventory and analysis of your hardware (e.g. servers, desktops, laptops and wireless devices), software applications and data. Analysis of your technology should include the frequency of your backups and desired data restoration times. While hard drives and tapes are still a feasible back up option, the amount of time it takes to rebuild a server and access that data can be costly to your operations. Newer technology allows data to be transferred offsite to a secure location every night. Your data should be backed up or replicated to a highly secure, SSAE 16 Type II certified datacenter that guarantees uptime levels that you cannot. At IT Solutions, we recommend backing up with the ITS DataVault or a comparable device. Moving servers and related equipment out of your office and into a data center eliminates threats in your building and safely shifts 100 percent of backup processes to an off-site environment where security is second to none. Fully redundant server hosting options are available through offerings like the IT Solutions NearCloud plan. Added benefits of hosting your data offsite include the elimination of expensive server hardware refreshes every few years, lower power and cooling costs, and the overall shift of IT infrastructure costs from capital to operating expense. Implementing data backup and recovery practices will enable your workforce to access email to communicate with your customers, access critical files and applications from home and conduct business as usual despite loss of power in your office space. 4. Test, Review and Update Your Plan. Talk with your IT manager and network service provider about scheduling regular tests to validate your disaster recovery strategies and tools. Consider multiple worst-case scenarios and walk through each step to verify that systems and equipment perform as expected. Ensure all new employees are up to speed with the plan and know their role in the event of a disaster. Instruct all employees take their devices home once a quarter to test their remote work environment. Be sure to update your plan to include new software and applications or any changes that occur after the plan is in place. 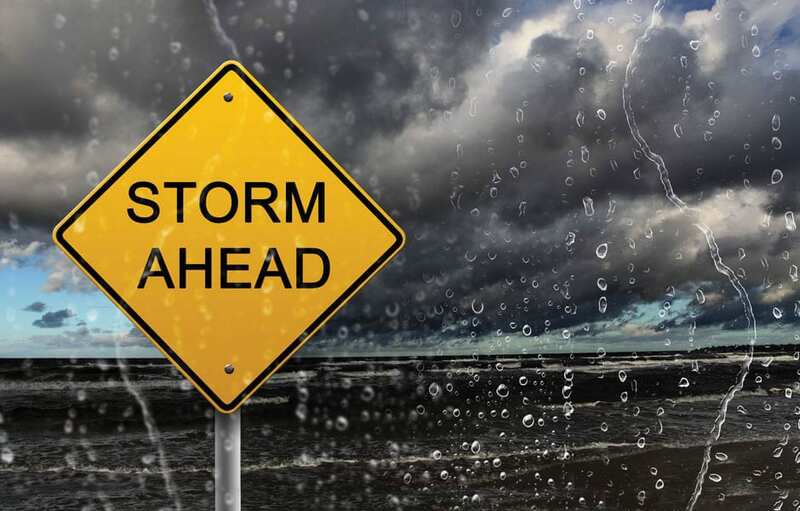 Taking proactive measures and planning for such events is the best way to ensure you, your family and your business will be ready for the next storm. The American Red Cross and FEMA provide helpful resources including check lists to assist in your preparation. If you have any questions related to data backup and recovery services or would like to discuss next steps to developing a disaster recovery plan of your own, fill out the form below or contact us at 1.866.Pick.ITS. One of the biggest fears for business owners when it comes to unpredictable weather and natural disasters (after the obvious concerns of employee safety), is a loss of power for an extended period of time. When power lines go down, it can take days or even weeks to get business back up and running which is costly to any business operation. Did you know that 90 percent of companies unable to resume operations within 5 days after a disaster are out of business within one year? 1. Educate and Focus on Prevention. Know your region and the types of disasters most likely to have an impact on your business. Find out what emergencies have occurred in the past and the impact these had on other businesses in your area. Consider your facility’s physical capacity to resist damage and proximity to flood plains, seismic faults, dams, hazardous materials, nuclear power plants and other hazards. Consult with your insurance agent, learn what coverage is available and what precautions to take for disasters that may impact your business. Remember, many general policies do not cover earthquake and flood damage. All employees should know their role during a disaster and the roles and responsibilities of key personnel at your facility. 2. Create a Disaster Recovery & Business Continuity Plan. Develop a Disaster Recovery (DR) plan that prepares for the worst scenarios. Some severe weather events can be forecasted hours before they arrive, providing valuable time to protect a facility. A plan should be established and resources should be on hand, or quickly available to prepare your facility. A copy of the plan should also be printed and kept outside of the office in the event there is no warning. Photograph or videotape your building or office - inside and outside - before a storm. Keep these records off premises. Your plan should include methods of communication for after the storm passes. Plan for phones to be down and consider using other communication outlets such as social media when possible. Hosted VoIP (Voice over IP) phone systems permit your employees to work remotely by transferring all inbound calls from their office extension to their cell phones.